Plastic pallets are 100 % recyclable. They can easily be ground up and changed back into a new pallet. They offer a much larger life span as compared to wooden pallets. 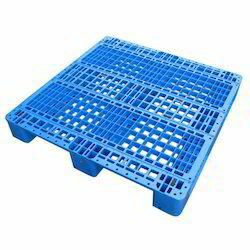 Plastic pallets offer resistance to chemicals such as acids and alkalis. 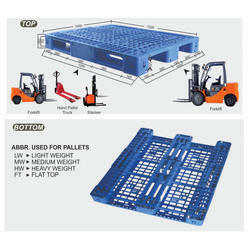 Bizongo offers high-grade quality and best price plastic pallets online. 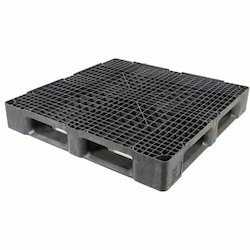 With superior pallets suppliers on board, we offer a vast variety of these products in the light, heavy and medium weight series. When you buy from Bizongo, you get access to the best pallet manufacturers and brands along with wholesale prices for all your material handling requirements at a single place. Capacity Static Load Capacity 1600 Kgs. Static Load Capacity: 1600 Kgs. Dynamic Load Capacity: 800 Kgs.